The senators are about the removal of "the Mercury Rule," which regulates mercury and air pollutant emissions from power plants. A bipartisan group of senators including Maine's Republican Sen. Susan Collins is calling on U.S. Environmental Protection Agency officials to withdraw a proposal that could change the rules about mercury emissions. 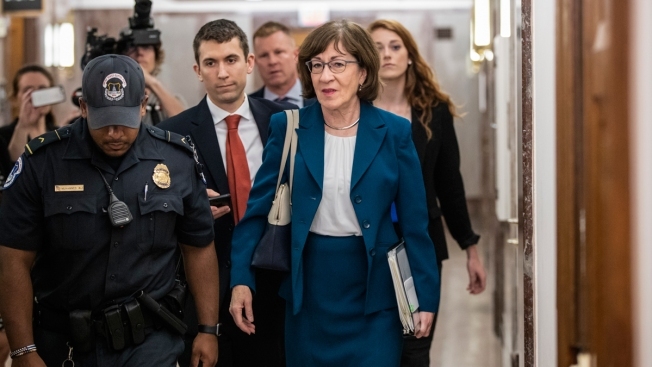 Collins and five colleagues sent a letter to EPA administrator Andrew Wheeler about the request. The senators' letter concerns the Mercury and Air Toxics Standards, also called "the Mercury Rule." The rule was finalized about seven years ago to cut back on emissions of mercury and air pollutants from power plants. The senators are criticizing a proposed rule released by the EPA in December 2018 to revoke the finding that it's "appropriate and necessary" to regulate the emissions. Collins and the other senators say the evidence shows the Mercury Rule is working and already providing public health benefits.